DO NOT DO THIS IF YOU'RE PREGNANT/EARLY STAGES OF PREGNANCY or have bleeding issues! 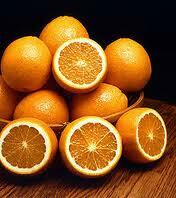 Vitamin C in high doses can cause miscarriage. Taking all that into consideration, pregnancy may not be the time to be contemplating major detox remedies and all protocols should be approved by one's physician. This is great!! I am doing right now, thanks!! In theory, yes, this would work the same with kids. I would recommend going slower, like using 500 mg every 30 minutes instead of 1000. It may get a little dicey the first day when you explain that the Vitamin C will make their tummy upset and give them a loose stool. If you can get participation for the first day, this would be a great immune booster for kids. From my understanding....as a HUGE fan of mega doses of vitamin c..most bodies can only absorb 1000mg per hour if taken orally. Anything else is purged through diarrhea when the body reaches saturation levels. So, while such high doses will induce the body purging, it won't be absorbing all of that vitamin c.
IV vitamin c however, is pumped straight into the bloodstream and can be administered at MEGA doses, but won't create the purging effect. Up to 200gms per day can be administered through I'V. Just to clarify - you only reach saturation of Vitamin C on the first day. After that you take 75% of your vitamin C saturation level. You won't reach stomach upset/diarrhea again until you start again to find your new Vitamin C flush level. 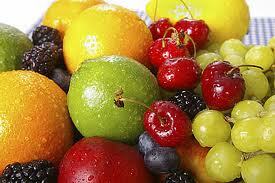 The vitamin C you take at 75% saturation level will be well absorbed if you take it throughout the day. I recommend splitting it into 4 doses or even better, using a powdered form and sipping it throughout the day in a bottle of water. One point you mentioned in the blog but didn't go into detail was how vitamin C (as well as fruits and veggies overall) help promote the release of salvia in your mouth, which acts as a mouth wash and rinses your mouth! They also release exfoliates, helping prevent stains! I have lymphedema in both legs will it help with the swelling?